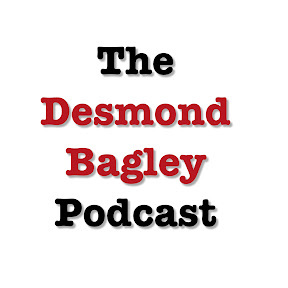 Desmond Bagley and the ill-fated Running Blind film production. Click the images below to view articles relating to the failed film production of Running Blind. In the individual pages that follow you will find English rough translations and may click the image alongside the translation if you wish to see the article archived in the Tímarit digital library. ‘Bagley’s best seller to be filmed here’. ‘Out into the unknown and Desmond Bagley’. ‘Buy a summerhouse at Þingvallavatn and set fire to it’. ‘Filming of Running Blind not taking place’. 1. Morgunblaðið (1973). ‘Metsölubók Bagleys kvikmynduð hér’ (6th March 1973 pp. 31& 32) © mbl.is / Árvakur hf. 2. Vísir (1973). ‘Desmond Bagley Hingað’ (27th March 1973 pp. 1 & 16) © DV ehf. 3. Tíminn (1973). ‘Út í Óvissuna og Desmond Bagley’ (15th April 1973 pp. 13 & 39). 4. Morgunblaðið (1973). ‘Verður gerð sjónvarpsmynd eftir Njálssögu?’ (8th May 1973 p. 12) © mbl.is / Árvakur hf. 5. Vísir (1973). ‘Kaupa sumarbústað við Þingvallavatn til að kveikja í honum’ (16th June 1973 p. 20) © DV ehf. 6. Morgunblaðið (1975). ‘Ekkert verður úr fyrirhugaðri kvikmyndun á “Running Blind” hér á landi í sumar.’ (11th May 1975 p. 46) © mbl.is / Árvakur hf.